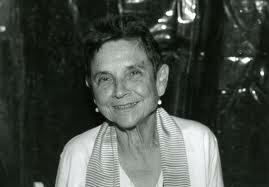 Adrienne Rich has died, at 82, on Tuesday March 27. A sublime poet and essayist, gifted teacher, outspoken feminist and lesbian, Adrienne Rich was active on many fronts, including Israel/Palestine. Why Support the U.S. Campaign for the Academic and Cultural Boycott of Israel? Last week, with initial hesitation but finally strong conviction, I endorsed the Call for a U.S. Cultural and Academic Boycott of Israel. I’d like to offer my reasons to friends, family and comrades. I have tried in fullest conscience to think this through. My hesitation: I profoundly believe in the visible/invisible liberatory social power of creative and intellectual boundary-crossings. I’ve been educated by these all my life, and by centuries-long cross-conversations about human freedom, justice and power — also, the forces that try to silence them. I have also seen attacks within American academia and media on Arab American, Muslim, Jewish scholars and teachers whose work critically explores the foundations and practices of Israeli state and society. Until now, as a believer in boundary-crossings, I would not have endorsed a cultural and academic boycott. But Israel’s continuing, annihilative assaults in Gaza and the one-sided rationalizations for them have driven me to re-examine my thoughts about cultural exchanges. Israel’s blockading of information, compassionate aid, international witness and free cultural and scholarly expression has become extreme and morally stone-blind. Israeli Arab parties have been banned from the elections, Israeli Jewish dissidents arrested, Israeli youth imprisoned for conscientious refusal of military service. Academic institutions are surely only relative sites of power. But they are, in their funding and governance, implicated with state economic and military power. And US media, institutions and official policy have gone along with all this. To boycott a repressive military state should not mean backing away from individuals struggling against the policies of that state. So, in continued solidarity with the Palestinian people’s long resistance, and also with those Israeli activists, teachers, students, artists, writers, intellectuals, journalists, refusers, feminists and others who oppose the means and ends of the Occupation, I have signed my name to this call.